“The state’s entire court system has been compromised.” says Matt Weidner, Court have streamlined for foreclosure backlog of cases. 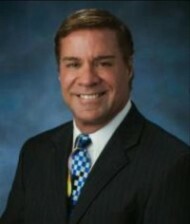 An outspoken foreclosure defense lawyer who practices in Tampa and St. Petersburg and blogs about the system. 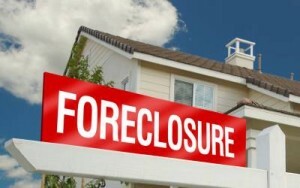 “They’re stripping away private property rights and transferring billions of dollars in assets from individuals to large entities.” A year into its latest effort to clear the wreckage left from the housing crash and subsequent recession that left hundreds of thousands of Floridians facing foreclosure, the state’s so-called foreclosure initiative is laser-focused on clearing the court system of cases and cutting the time it takes a bank to foreclose. What began as an effort by the Florida Legislature and judicial leaders to help the state’s economy by moving properties out of foreclosure and back into the market has turned into a Kafkaesque nightmare for people struggling to hang on to their homes. State legislative and judicial leaders have largely ignored the ramifications of throwing thousands of families out of houses and turning the foreclosed properties over to banks and mortgage servicers to maintain and sell into an already swamped market. “They dealt with it as a court system problem,” said a former Republican lawmaker from New Port Richey who opposed the two bills passed last year to clear the foreclosure backlog. “It was, ‘How can we speed up forcing people out of their homes?” Kathleen Passidomo, a Republican from Naples who sponsored a bill to streamline foreclosures that passed last year, said borrowers, banks and homeowner associations want to get the foreclosures behind them. “Lots of people just want to get it over with and get on with their life,” she said. Many people have filed Chapter 13 Bankruptcy to save their homes.